“What, exactly, is the problem? The answer, I think, is that there are alleged to be two main problems. Western thought since the eighteenth-century Enlightenment has displayed at least two distinct styles of objection. First, there have been de facto objections: objections to the truth of Christian belief...Even more prevalent, however, have been de jure objections. These are arguments or claims to the effect that Christian belief, whether or not true, is at any rate unjustifiable, or rationally unjustified, or irrational, or not intellectually respectable, or contrary to sound morality, or without sufficient evidence, or in some other way rationally unacceptable, not up to snuff from an intellectual point of view” (Dr. Alvin Plantinga, Warranted Christian Belief. New York & Oxford: Oxford University Press, 2000, pages viii-ix). In my last post on Plantinga’s work, I stated that I hold Christian belief to be an intellectually viable position because of the resurrection. The last four words, “because of the resurrection,” will be key to this series on Reformed Epistemology. The resurrection of Jesus and the effects (the empty tomb and the missing body) are what make Christianity an intellectually viable faith. For me, if there was no evidence for Christianity, and Christ had not risen, then we would still be “yet in our sins.” Paul was right to make this bold statement in 1 Corinthians 15...and I think that, if we have an epistemology built off of anything but Scripture, then we should discard that epistemology altogether. If Scripture tells us that Christ really did rise from the dead, then this evidence is objective evidence that testifies in favor of Christianity. As a result, we can trust the evidence (the empty tomb and missing body) as well as the Scriptures (which report this objective evidence). Today’s post will involve making necessary distinctions between what Plantinga calls “de facto” and “de jure” objections. De facto objections deal with “the facts,” or rather, the truth of Christianity. De facto objections seek to show that Christianity is false. De jure objections, however, involve “justification”: is Christianity justified? Is Christian belief justified? Can a person hold to Christian belief and be rational? Let’s say that you find yourself in a courtroom, on trial for the murder of a friend. The friend was last seen leaving your house before she was later found dead in her car the next morning. You were in her car the night before when the two of you went shopping, visited some other friends, and went to the movies...so your fingerprints are all over the car doors, seat belts, steering wheel, etc. As police began to get fingerprints the next morning, the fingerprints only match your DNA and your friend’s (the victim). There is a weapon (baseball bat) in the car, but it contains no fingerprints---just the blood from the victim’s head. To make matters worse, as you were driving the friend’s car home, you cut your finger and blood splattered all over the windshield and the driver’s window (not to mention, some blood was spilled on the wheel itself). The victim’s cell phone contained phone calls and a text message sent from you to the victim less than an hour before she died. The text message had some harsh language in it, volatile language, because you two got in a heated argument right before the friend left your house. You found out that she was dating your ex-boyfriend and she really loves him. They were making plans to get engaged, and you never thought he would move on so easily. The police talk with the neighbors next door and discover, to their amazement, that after you two arrived back at your house, you started physically fighting in the front yard, pushing, shoving, and screaming “I hate you” so loud that someone twelve miles away could hear you. If this isn’t bad enough, it gets worse: the clothes found at the scene (the clothes used by the killer) are yours. The clothes match your size, as well as your fashion. Your neighbors have seen you wear this outfit often, and, when asked by the police, claimed that the clothes match your own design. What the police did not know until the neighbors revealed it, is that they are clothes of your own making. You made the unique outfit that was at the scene of the crime. Now, with all these details provided above, you sit in a courtroom, your face in your hands, pondering whether or not you will be declared by the jury “innocent” or “guilty.” As the evidence is presented, you nervously glance at the jury...and they nervously glance at you. After all, you were a good friend of the victim’s right? Surely, there’s no way you could have done it. Even your own memory testifies that you did not kill her. You were, in fact, “unconsciously” asleep at the time of the murder...but you don’t remember what time you went to bed or what time you got up. You can recall nothing about that night, because the pain of knowing your friend was engaged to your ex hurts too much. Your response to that night was simply to shut it out of your mind and pretend that it never happened. The present circumstances, however, will not allow that. You were the last one to see her alive and all the evidence points to you: blood on the windows and wheel, phone calls and text messages, clothing...the list is endless. And you sit in the courtroom about to be convicted for a crime you did not commit. 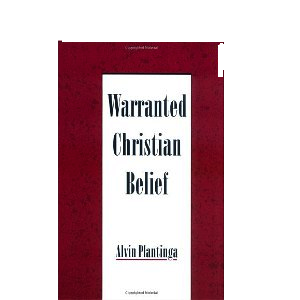 Let’s use Plantinga’s distinctions to sort through this messy situation. Are you guilty “de facto”? This question essentially boils down to, “Are you in fact guilty?” You would respond, “No...of course not.” Now...let’s look at the issue of “de jure”: are you justified in thinking that you are innocent? Yes, if by “justification” you mean “inwardly” justified. When you examine your own consciousness, thoughts, and memory, you believe with all your heart that you are innocent and did not commit the crime. But, there is another question to ask: “Are you guilty in the eyes of the jury?” That is, does the jury believe you to be innocent...or, is the preponderance of evidence so massive that, by all outside accounts, you are guilty? These are questions the accused must answer; for the jury is unlike the accused in that the jury was not present at the scene of the crime at the time of the crime. The jury can only go on the evidence. They can only make an assessment based upon the physical, tangible evidence. And, by all outside reports, you are guilty. The evidence says that you killed your friend. Are you guilty or not? That depends on what you mean by the term “justification.” If you mean whether or not you are justified within yourself or to yourself, the answer would be “no.” However, if by justification you mean acceptable to the external world, the answer is “yes.” The evidence points to your guilt, though you inwardly believe you are innocent. The underlined quote above can be used in the murder trial discussed here. If you are innocent of the crime, and believe you are (though the evidence points to your guilt), is there something wrong with you? Of course not. The problem is, however, that without evidence, the claim is just an imaginary one. If there is no evidence to testify to your innocence in the murder, no jury is going to simply acquit you because you look sincere in claiming your innocence. It is the evidence that will determine the innocence or guilt of an individual. You may not be an irrational individual, but you will look that way to a jury. Without evidence, you are simply making a claim that you “wish” to be true, but that, by evidence, is not. Plantinga goes on to ask, “are you...somehow incompetent, or unusually ignorant, or subject to some kind of pathology...?” You may very well not be any of these things. But the question of the moment of truth is not, “how do I appear to myself?”, but rather, “How does the jury see me?”. And it is here that I’m going to appeal to the readership: Does your self-image matter more than the jury’s verdict, when you are moments away from the jury’s verdict of “innocent” or “guilty?” It’s easy for someone to say, “I believe that I’m innocent, and that’s all that matters”...but it will sting if a jury convicts you and you believe you are innocent. And the worse part is, you will spend life in prison or face execution for a crime you did not commit. If the jury’s verdict matters more in a crime than your self-image, why does it not matter at all (in Reformed Epistemology) what the atheist and agnostic think about Christianity?